Apologies for the delay in posting the last #realtimechemcarnival roundup. It has been a hectic time in the lab and at home! @Fluorogrol contributed with his post on the oddities of scientific publishing, by reminding us that ” there’s free, and then there’s free“. Katherine (@KJHaxton) then gave us a glimpse into her outreach life with her summary of a Chemistry at Work event for schools. So that is it for the 2014 #realtimechemcarnival. See you again next year for another superb #realtimechem week. This year’s blog carnival has shone the light on a few chemistry blogs that I previously did not know existed. It is great to see so many new (to me) bloggers in the chem-blogosphere. Keep it up all. The more the merrier! Here are the posts from Tues 24th and Weds 25th June. 1) Tom (@TRBranson) started us off with his awesome take on the supervisor-student relationship during thesis writing time. I had many a comment on my thesis drafts, but I don’t think I was ever told that I was “fundamentally wrong”! Thanks for sharing, Tom. 2) Jess (@chemicaljess) wasn’t far behind her with post on intentions during a PhD. Her blog is a great place to read about the trials and tribulations of a PhD. Definitely worth a read for those just starting their PhD journey. 3) One of the prolific bloggers from last year’s #realtimechemcarnival, Joaquin (@JoaquinBarroso), has again joined in with his post on his summer interns. It will be great to see the progress that these students make over the summer. Please do keep us up-to-date Joaquin! 4) Since the kind guys over at ChemDraw were kind enough to let me try out their new 2014 version, the least I could do was let them know what I thought of it. 5) Julia (@ochemprep) joins the party with her post on Praying for an Epiphany where she shares her story from undergrad to start-up founder. Keep up the excellent #realtimechem work everyone and remember to let me know if you think I have missed any carnival posts. A slightly different post in aid of the #realtimechemcarnival but hopefully useful to someone! 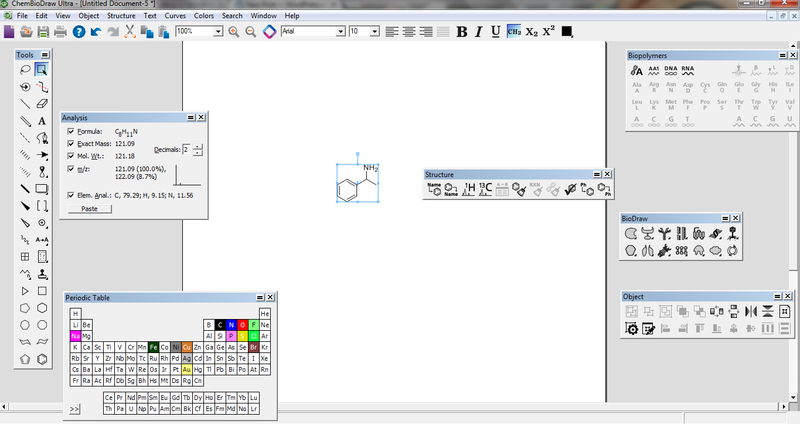 I currently use ChemDraw 13 Pro at work. This has very basic features and is really only useful for drawing out reaction schemes and checking molecular weights. At my previous workplace, I had ChemDrawUltra 2010. This had a lot of useful features like “convert name to structure” and NMR prediction, which were really useful tools, especially as I was writing my PhD thesis at the time. Recently, I was given the chance to trial the new ChemBioDrawUltra 14.0. I expected this to be a better, flashier version of ChemDrawUltra 2010 and, indeed, it is. It has pretty much all the same useful tools as ChemDrawUltra 2010 but it also has some new features, which I have had fun playing around with. What do I particularly like about this new version? 1) BioDraw tools – our group is very interdisciplinary. We currently have people working with biocatalysts and we were very pleased to see updated BioDraw tools (a lot more choice and much more detailed) and a Biopolymer tool bar so that peptide/DNA chains can be drawn. I have a feeling the bio people in the lab will be wanting to borrow my laptop in the coming months! 2) Structure Tool bar – this is a useful addition as it means I don’t keep having to go up to the structure menu. 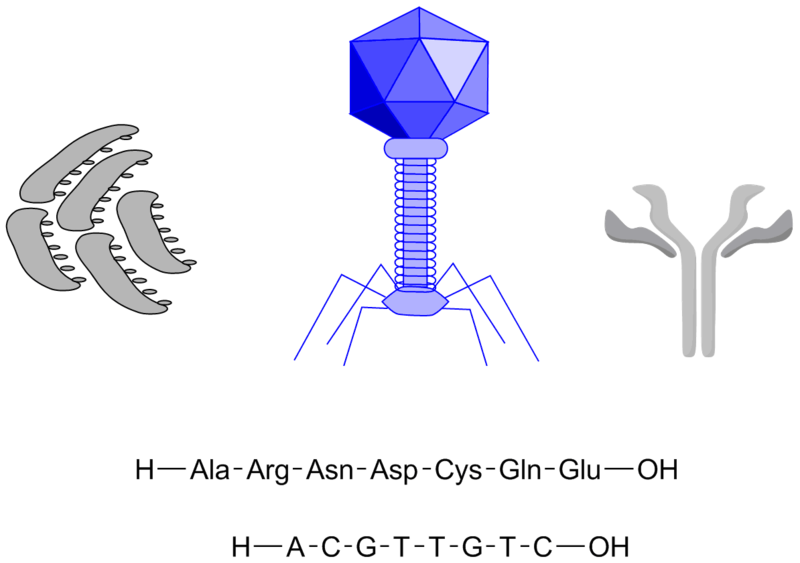 It contains the commonly used NMR prediction, naming and clean-up icons, amongst others. 3) Scifinder addition – I thought this was a bit of a gimmick but it has made my life easier. I am currently writing a literature review and this has certainly made that quicker to write. It is as simple as drawing the structure, clicking on search > search SciFinder (via my library login page). What I would like to see in future versions? A tool bar for flow chemists – synthetic chemists are embracing flow chemistry more and more so it would be great to see some tools which would allow us to draw schemes of detailed flow set-ups. Overall, I really liked this version. I will keep updating this post as I find more features that I like (or dislike). I got this version on a free trial, I am not sure, however, that I would pay the full price for it but I hope some employers do! As Dr Jay has mentioned, we shall be doing #realtimechemcarnival during #realtimechem week again this year. For more information about #realtimechem week, read Jay’s FAQ. You can blog about absolutely anything chemistry related – the stranger, the better! Once you have blogged, either email me the link at theorganicsolutionblog at gmail dot com or link on Twitter using the hashtag #realtimechemcarnival. If I can, I will then post the day’s carnival posts here but if not I will definitely do a roundup at the end of the week. For some inspiration, do take a look at the 2013 entries . If you have any questions about the carnival, don’t hesitate to get in touch! P.s Thanks to Jay for all his artwork! I thought I would interrupt this unplanned blog hiatus with a post about elements, which was inspired by a Twitter conversation with Dr Tom. Which elemental form of the chemical elements have you used in the lab? I believe my number is a lowly 10 although I am sure I have forgotten some. Hydrogen (H), carbon (C), oxygen (O3), fluorine (F2), sodium (Na), magnesium (Mg), bromine (Br2), iridium (Ir), tin (Sn), iodine (I2). Tom’s was a more impressive 12, including Samarium. p.s I have obviously also used nitrogen and argon as inert gases in reactions and helium as a GC carrier gas but I don’t feel they count as I haven’t manipulated them into something new. p.p.s oxygen has been added as I forgot that I have had plenty of experience with stinky ozone.